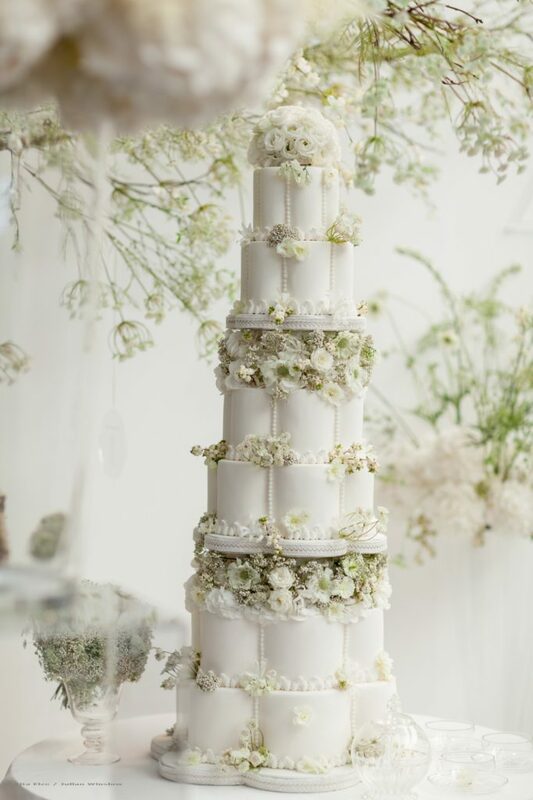 Elizabeth’s Cake Emporium founded by Elizabeth Solaru is recognised as one of the best wedding cake companies in the UK. The company creates beautifully handcrafted cakes that are adorned with the most realistic edible jewellery, sugar flowers, lace, pearls and gems. Their creations have been featured in numerous national and international blogs and publications including The Telegraph, Wedluxe, Grace Ormonde, Wedding Flowers, Conde Nast Brides, Wedding Magazine, OK!, Hello, Wedding Cakes – A Design Source, Cake Design Cuccina Chic, Magie de Zuckers and Grace Ormonde. Clients include British, European and Middle Eastern Royalty, celebrities and high net worth individuals. Elizabeth has appeared on the BBC Good Food Channel, BBC Radio and Sky Living as a cake expert. She is also a regular on Sky TV being the only three times winner of The Great Cake Bake, a show which featured the best wedding cake makers in the country. Winner of the Best Cake Designer award, she is a star speaker, competition judge and host on The Cake and Bake Show and recently judged Championnat de France de Cake Design, the French cake championships. Elizabeth is in demand as a sugarcraft expert and has appeared on Sky Living’s “Who’d Be a Billionaire” and her cakes have appeared in the remake of the film, “My Best Friend’s Wedding” by Sony Columbia Pictures.